Hello my name is Ivan Momcilovic (aka Momcha) and I am from Serbia. I am working for InScale.org sire and for SMMI magazine. My main interest are AFV vehicles through wars. I started interesting in IDF armor about year ago. A lot of interesting vehicles were and are in service. Till today I build two models of IDF tanks; Tiran 5 and Sho`t Kal. 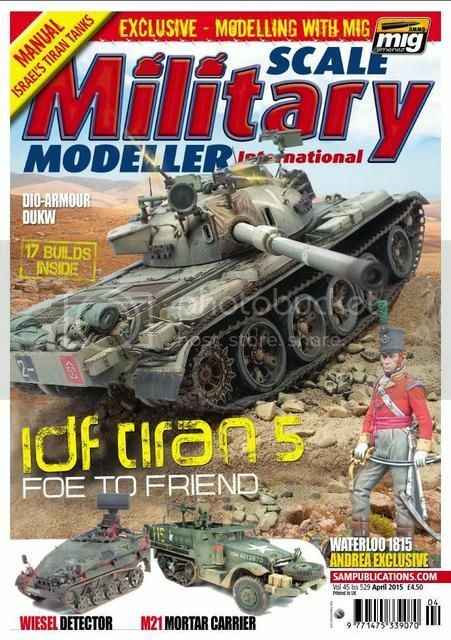 Both are built for Scale Military Modeller International magazine so I can show you only magazine cover with first model. Rest of the pictures will be published when agreement with magazine allow it. I have in plan to build few more IDF vehicles and I found that this forum will help me in finding informations that I need.